The United States government under President Obama decided to extend diplomatic recognition to Cuba this month. The controversy of whether this should be undertaken while the Cuban government is still listed as a sponsor of state terrorism will undoubtedly continue. The action does not actually lift the trade embargo placed on Cuba during the waning days of the Eisenhower Administration in 1960. At the time a total ban on American exports to Cuba was enacted. On humanitarian grounds, food and medicine were exempted. In 1962 under the Kennedy Administration, legislation was extended to cut off almost all imports from Cuba as well. By law, the trade embargo will remain in place until the Congress of the United States passes legislation to dissolve it. Major American investment on the island will remain unlikely until that happens. So one does have to ask what are the real implications of Cuban recognition? Little will actually change for the immediate future. The only exceptions to that will be in travel and banking. It will now be easier for Americans to visit the island. At the moment the only way to visit Cuba is by going on a chartered flight. You also have to have a specific reason for going there. Diplomatic, professional or even personal reasons need to be explained and then approved by both countries. The lifting of restrictions on banking will allow Americans to use credit and debit cards on the island. This will negate the necessity of bringing large amounts of cash. It will also facilitate visitors to Cuba in spending more money there. The end result will have a positive effect on Cuban businesses. Americans will also be allowed to bring small quantities of Cuban cigars and rum back from the island. The most positive aspect is that it will begin a normalization process between the United States and Cuba. Families will be allowed to reconnect and Cubans leaving the country might decide to return, if they are allowed access to travel to and from the island. There will be more cultural exchanges that are going to assist with the educational links between the two countries. Over time more economic opportunities will develop that will benefit both Cuba and the United States. For things to go beyond what was aforementioned, there will need to be an easing or an elimination of the trade embargo. The conversation in that regard will more than likely take time for the various factions in American politics, to make the compromises that will be necessary to achieve this goal. There will be some logistical difficulties even with the minimum already achieved. For example, there are a handful of international hotel chains already on the island that cater to Western tourists. They would not be equipped to handle a large influx of arrivals from the United States. These establishments already have a steady business with Europe, Canada, and other parts of Latin America. The same is true for American based cruise companies. 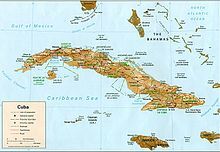 Although they may wish to add Cuba to some of their Caribbean itineraries, the island has not made sufficient investment in infrastructure to permit it. To accommodate large ships the Cuban government would need to modernize civilian ports, docks and related facilities. To make the case that the embargo should be lifted one must explore why it was put in place to begin with. 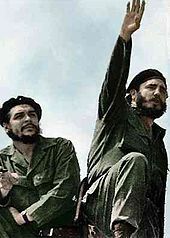 The government of the United States took the action when Fidel Castro ordered the nationalization of all 3 oil refineries on the island. The dispute began because one refinery had refused to process crude oil shipped from the Soviet Union. The response of the Cuban government in seizing these American owned installations led to the imposition of the first embargo. The Castro government then escalated the situation by nationalizing all American owned businesses and most privately owned property. This property was all appropriated without compensation. In addition, a number of diplomats were ordered to leave Cuba. This quickly resulted in the imposition of the second trade embargo. Over the years, various other laws were passed to tighten restrictions on Cuba. The objective of the embargo was to punish Cuba and force political change on the island through economic means. The effectiveness of the United States embargo has been increasingly controversial as the decades have passed. Opponents of the embargo claim that rather than weaken the Castro regime it has actually strengthened it, because it is used as an excuse and a rallying point for a government that is increasingly unable to meet the basic needs of its citizenry. It is possible that a new approach might be more helpful. The opening to Cuba changes three fundamental things that could threaten the regime possibly more than the embargo. Recognition to begin with, would provide more everyday contact with Americans and Cubans. This would provide for an exchange of ideas and would lead to questions over time, that the Cuban government will be hard pressed to answer. Second, it allows more access to Cubans of non governmental money, that can be used to create a more free market type economy. Third, it accelerates access to more information, that will continue to exert more pressure on the Castro government. The effectiveness of the embargo has been called into question because most other nations in the world have normal contact with Cuba. That is bilateral trade and visitors to and from the island. It has been estimated that the embargo costs the United States between $1 to $2 billion USD (United States Dollar) annually. These would be lost sales and exports. The cost to Cuba is harder to calculate. The Cuban government claims it is $685 million USD on an annual basis. The U. S. State Department claims that the cost to the Cuban economy is mostly in transportation. The real problem for Cuba is the lack of foreign currency. This has less to do with the embargo and more with the unwillingness of the government in Cuba to liberalize the economy and develop a more sophisticated export market. When the Soviet Union was sending the equivalent of billions of dollars USD in annual aid there was no need to restructure the economy. During those years of significant aid Cuba was permitted to run up substantial trade deficits and debts to the Europeans, Japan and a number of countries in Latin America. 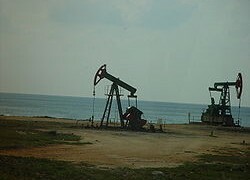 In more recent times following the collapse of the Soviet Union and the end of aid from that area of the world Venezuela has provided important assistance in the form of subsidized oil. This has kept the Cuban economy afloat. Now that this source of aid is in jeopardy the Cuban economy is under increasing pressure. Regardless of a trade embargo Cuba has not taken full advantage of domestic resources, in developing a sustainable and profitable export market. This would include greater efficiency in the production of sugar, tobacco, citrus fruits, fish and coffee. Another major export is medical products and some pharmaceuticals. The most important mineral asset is nickel. Reserves are estimated to be close to 5.5 million tons which is 7% of the world total. Yearly output was reported at 71,000 tons in 2011 which would be close to 4% of world production. Cuba also produces refined cobalt which is a byproduct of mining nickel. The country also may have coastal oil reserves from 4.6 to 9.3 billion barrels but outside investment and expertise will be needed to develop this resource. 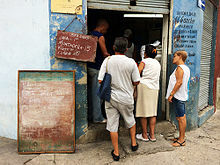 In the tourist trade simple geography has blessed Cuba with endless opportunities. The island has tripled its market share of tourism in the last decade. This was made possible because of significant investment in this sector of the economy. It has generated billions of dollars of foreign exchange and had kept the Cuban economy from collapsing. 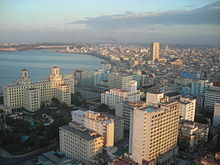 By 2011 Cuba had 2.69 million travelers to the island. It is the third highest in the region. Only the Dominican Republic and Puerto Rico receive more visitors on an annual basis. Medical tourism plays a significant part in this. People will come from around the world to have procedures done in Cuba. The cost savings can be significant. The main export partners of the country are Canada, China and Venezuela at 17.3%, 16.6% and 12.7% respectively of the total amount. The Netherlands and Spain follow with 8.8% and 5.8%. 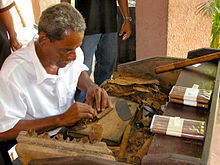 It is estimated that total Cuban exports amount to between $2 and $3 billion USD on an annual basis. The main import trading partners consist of Venezuela, China, Spain, Brazil and believe it or not the United States. The estimates for each country in the total trade amount to 36.4%, 10.5%, 8.7%, 5.1% and 4.2% respectively. Imports consist mostly of oil, food, chemicals, equipment and machinery. The cost in imports run over $9 billion annually. The country imports up to 80% of the annual amount of food needed. It comes mostly from the United States and is rationed on the island. Most of the farm products consist of corn, rice, soybeans and chicken. The total value of these exports are estimated at $350 million annually. This was the result of the year 2000 law that relaxed restrictions on food and medicine. Cuba as one can easily see, runs a sizable trade deficit making services especially tourism crucial to the economy. Since the 1990’s and the loss of the Soviet Union as a patron, Cuba has actively sought out foreign investment. With the exception of the Venezuelans all others are required to from joint ventures with the Cuban government. Even if the embargo would end this year which is highly unlikely, there would need to be massive change on both sides of the Florida Straits. Years of strict state planning in Cuba would make restoring economic ties somewhat difficult and time consuming. Not only would the United States need to change a number of laws and regulations, but Cuba would need to be more welcoming to the rush of American investment and business. It is estimated by the World Bank that Cuba has one of the lowest investment rates in the world. 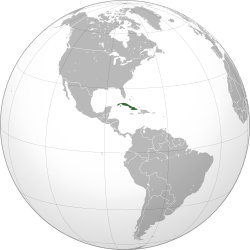 American exports to Cuba were valued at $360 million USD in 2013. There are some that estimate this would climb to over $4 billion USD over time, if recognition of Cuba led to the end of the trade embargo. Cuban exports to the United States could go from practically zero now to close to $6 billion USD as trade contacts were reestablished. Cuba at present needs to pay for American agricultural goods in advance. If financial and business transactions were eased then the normal practice for trade would resume. Most international trade is done on credit, so it is likely that there would be a surge in Cuban purchases of American farm products. Travel companies based in the United States are also eager to enter the Cuban market. This includes both airlines and cruise lines. The same is true for the accommodation industry. For the major American hotel chains it could be a lucrative new market. However many of these future plans would need accompanying infrastructure. As aforementioned Cuba continues to lag in the region in constructing roads, bridges, electric power facilities and other modern amenities that will be necessary for real economic development. If there were no longer an embargo following recognition of Cuba there would be an increased demand on the island for gasoline and diesel as well as technology to modernize the refineries on the island. One of the biggest advantages for the United States is the exceptional low wages that exist in Cuba. This is a place that is just 90 miles from American territory. It is not South Asia or Africa. A number of American technology and electronic firms would be quite eager to move assembly operations to Cuba. All these ambitions will only happen slowly and will be largely impossible unless the embargo is modified or abolished. For example the United States government now claims that American companies can sell farming implements and machinery to help Cuban agriculture under terms of recognition agreement. 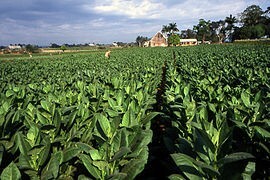 However, sales can only be to individual Cuban farmers not to state run operations. How that is to be determined will take a length of time and will be complicated to say in the least. The Cuban government wants things both ways. Legislation was passed earlier this year to encourage more foreign investment. At the same time the will arrest foreign business people on corruption charges. This is not the way to encourage greater business interest on the island. Plus many of the joint venture requirements will not make new business ventures in Cuba productive either. The final consideration is that most Cubans are poor by western standards. They will be unable to purchase many of the goods that American manufacturers and businesses would like to sell on the island. It is most likely that niche markets will develop. An example would be parts for cars that Cubans drive. These would be from before the Cuban revolution. Much of the trade embargo is politics in the United States and Cuba. There are advantages on both sides to keeping the present restrictions in place. However, over time it is likely that interest groups will advance ways to chip away or have the whole apparatus of the embargo removed. However for those individuals who are looking for a mass rush of investment in Cuba they are likely to be disappointed. That kind of change will be only possible once there is a change in government on the island.